Despite the title of my blog, I do not make everything homemade. I don’t always have the time. So there are some products I like to keep on hand for quick lunches or dinners when I don’t have time to make something. 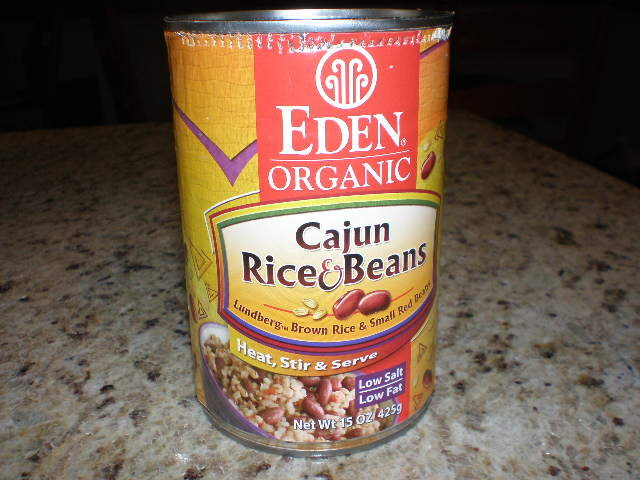 Recently I discovered this gem: Eden Organic canned rice & beans. There are a few different flavors. There’s nothing in there that I can’t pronounce and nothing that I don’t know what it is. Perfecto! These would be really good to keep in my desk at work for emergencies. This can cost me $1.79 at Whole Foods (before tax). 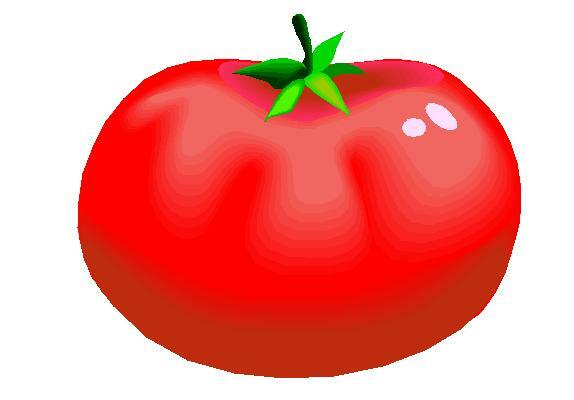 If I have other things to eat it lasts me two lunches. But I’ve been known to eat the entire can in one sitting. That’s a pretty decent price on lunch considering it’s a convenience item. 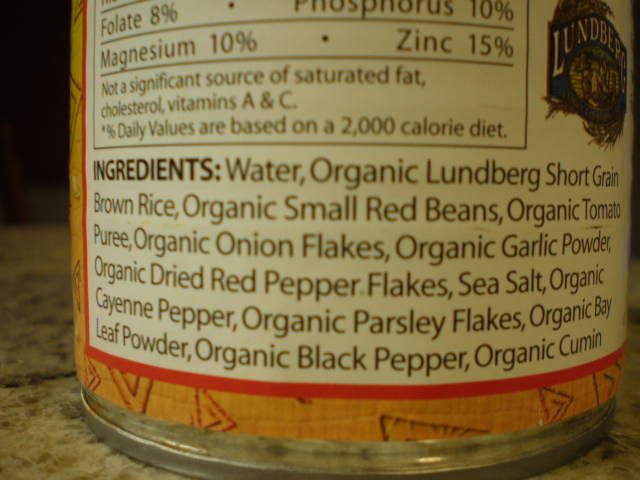 What is your favorite prepared or prepackaged (but all natural!) food for busy days?